Learn to Ski In One Day! Presenting the Atomic XTE7 Step-in release bindings. This binding is for beginner/intermediate skiers and is adjustable and lightweight. 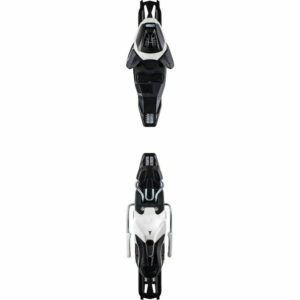 The Atomic XTE 7 Step-in release bindings are for beginner/intermediate skiers who have boot size no longer than U.S. 11 and features a lower DIN setting of 3-7.5. Atomic is known for their top quality skis and bindings and this binding is no exception. 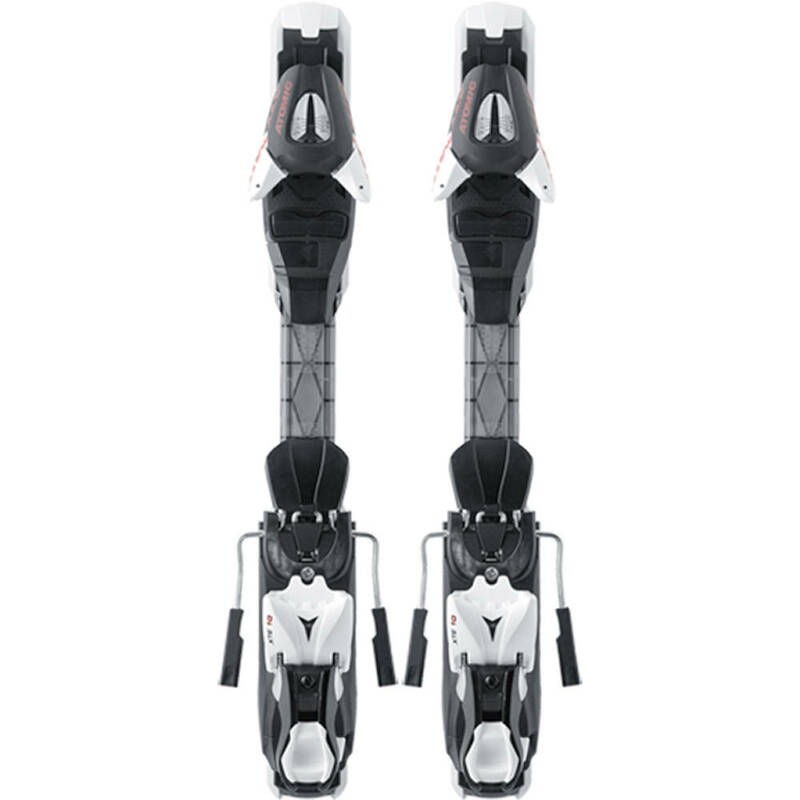 The XTE 7 is an adjustable binding that provides you with not only the ability to fit a range of ski boot sizes, but also so that you can adjust your bindings on the fly (moving forward or back to adjust to conditions and personal preference). 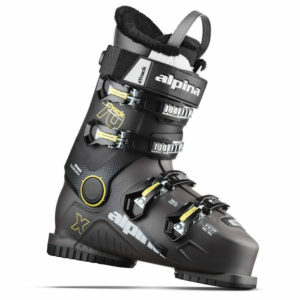 For those curious, the Atomic XTE 7 is the same binding as the Atomic L7 bindings, just a name change. The Atomic XTE series combines high performance with minimal weight and maximum stability. The XTE boasts excellent release values and is easy to operate. Adjusting the front clamp and heel is child’s play. These bindings feature: DIN range of 3-7.5. Twin pivot. Toe height adjustment. Adjustments can be done by hand and fits ski boot sizes 229-336 mm sole length (approximately US Size 2-11). Height: 30mm. When ordering skiboards with these bindings, we offer FREE mounting ($35 value) and FREE Wide Brakes ($40 value). Note: We usually mount the bindings to our skiboards so ski boot center is about 1/2″ back from core center. 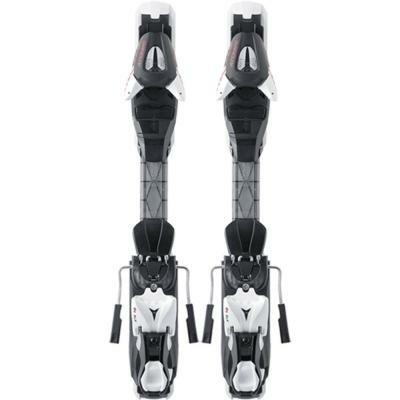 As these are adjustable, you can always make adjustments on the fly by simply moving the toe and heel pieces back or forwards together for your preferred riding style in varying conditions. Check out this YouTube Video by Chen Lev-ran to get you amped for the upcoming weekend! Only a few more weeks until the season is over so get out and play before the fun's all over! Dare to try a pair of our Summit Skiboards to ignite a sense of adventure! "The mountains are calling and I must go!" Hope your weekend is filled with fun on your Summit Skiboards! Copyright © 1996- Skiboards Superstore, Inc., Skiboards.com and its affiliates. All rights reserved.